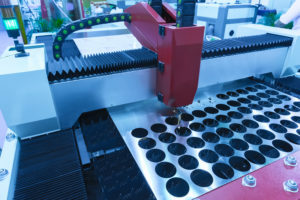 As a specialist manufacturer and supplier of custom Lathe Cut Gaskets, we have developed our internal expertise in manufacturing custom Lathe Cut Gaskets. We have built our reputation from the ground up by supplying quality parts to customers and being transparent throughout the manufacturing process to ensure lead times and quality standards are met and often exceed. Our lathe cutter facilities provide precision gaskets to satisfy the most demanding applications such as Automotive, Aerospace and Defence. 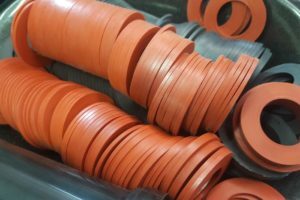 Butser Rubber can meet recognised quality and inspection standards to meet customer requirements. We can provide PPAP Level 3 documentation to support our lathe cut gaskets products, First Article Inspection Reports to AS9102 and Certificate of Conformity paperwork with full lot tracebility back to suppliers batch. Please Contact Our Team for more information. 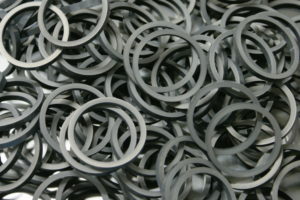 Lathe Cutting provides the unique opportunity to produce gaskets with a large outer diameter while complying with a high tolerance. Outer and inner diameters can be manufactured with chamfers and other complex shapes. For additional information about design feasibility or a quotation, please Contact Our Team. 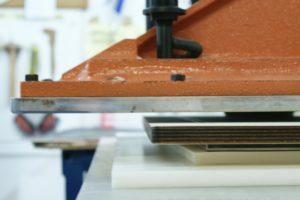 We can use our in-house extrusion machinery to manufacture bespoke rubber extrusions which can lathe cut into unique gasket shapes. 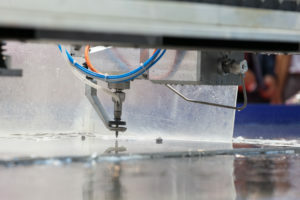 By manufacturing extrusions of varying diameter, a number of different size gaskets can be lathe cut per molding. This allows for significantly faster lead time and reduced cost. Butser Rubber are proud to work with a number of different customers requiring different gasket production runs. 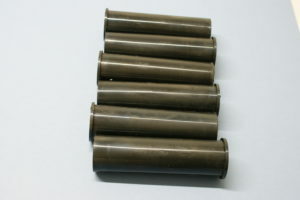 We can mass produce items in large quantities as well as manufacturing one off gasket prototypes. We can work to KanBan delivery schedules in daily, weekly and monthly call off’s.